In India, nearly about 300 million people; 24 per cent of the total population are deprived of electricity and are compelled to live in the dark. Also, the per capita consumption is only 1,070 kWh as against the global average of 3,026 kWh. Besides, coal-based thermal power is the prime source of electricity in India, despite gruesome environmental problems. To address both these issues — power shortage and pollution — solar energy seems to be the simplest solution foe both Governments and industries. Prime Minister Narendra Modi’s International Solar Alliance (ISA) is a significant move in this direction that is also backed by World Bank’s one trillion dollar investment. The institution is also providing one billion dollar to expand India’s solar power capacity. 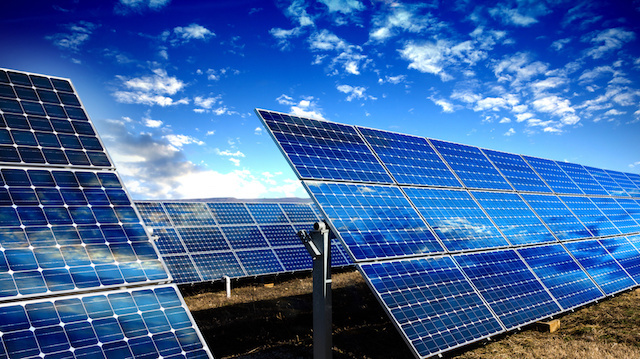 Curtailing cost: One of the latest studies by researchers from the Oxford University claimed that by 2027, the global share of solar energy will reach up to 20 per cent; almost eight times higher than its existing share, which is only 1.5 per cent. Improvements in technology, gradual reduction in the manufacturing cost, and the growing market of solar rooftops are the most favourable factors for this changing scenario. Also, enhanced life of photovoltaic (PV) cells, along with unprecedented developments in turbine-based power production have made it affordable not only for businesses but also for housing societies. To extend India’s cumulative capacity from 9.0GW to 100GW by 2022, there is an urgent need for strong collaborations between Government and private enterprises. Alike road and transport sector, formulation of Public Private Partnership models can prove to be a strategic push to promote renewable and environment-friendly solar energy. The challenges: Consistent power supply demands better storage which means an efficient loop of grids. But due to large-scale urbanisation, availability of land in open environment is a costly affair for private players. On the other hand, due to a small consumer base, the capacity factor of solar panels is quite low in comparison to conventional power stations. The same factor affects its transmission cost which is still dearer than thermal power transmission. Little awareness of the benefits of solar energy among the masses is another constraint in its growth and Small and Medium Enterprises with low advertising budgets cannot attain success in this direction. Road to reform: To save the environment and to make electricity available even in the remotest areas of rural India, the Union as well as State Governments should take adequate measures to promote solar power. But the highly price sensitive customer of India would not switch to solar power until and unless they receive it uninterruptedly at a cheaper price. Therefore, simplification of regulatory norms and provision of financial incentives, such as tax exemption would be a great initiative by the Government, if the decision-makers consider it for long-term prospects. Because such incentives will help private companies to reduce costs and increase production capacities. Notwithstanding, identifying the economically viable projects to serve the priority customers should be the foremost task of solar companies before entering into a particular market/geography. In addition to these structural developments, emphasis should also be given to intensify operational machinery. Hence, solar companies must take immediate action in the adoption of latest technology to optimise output of batteries, energy-storage integrators, rooftop panels, and solar grids. India is blessed with an infinite number of natural resources and proximity to equator helps brighten its vast pieces of lands with sunlight. When almost one-fourth of the nation is stricken with darkness; a darkness that is responsible for the gloomy fate of people and businesses in those regions, India should make substantial efforts to tap that sunlight. The task is challenging, yet achievable and if Governments, solar companies, and technology firms cooperate with each other, then in the next 15 to 20 years, solar power will emerge as the fuel of India’s socio-economic development. But, for long-term sustainability of the sector, industrialists, policymakers, and research organisations should devise instruments to bring down the cost and market price of the solar power all across the country. On a brighter note, it wouldn’t be wrong to say that clean, renewable, and sustainable solar power is the future of ‘Incredible India’.